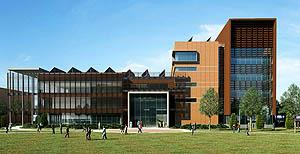 The design for the new ECE building has been awarded a 2012 Green Good Design Award. Award recognizes the most important examples of sustainable design throughout the world. The projects that win this award can point the way to future sustainability in building design. The design for the new ECE building has received a Green Good Design Award from the European Centre for Architecture Art Design and Urban Studies and The Chicago Athenaeum. 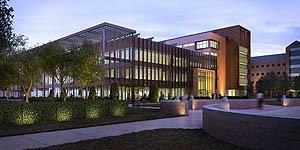 The design for the new ECE building has been awarded a 2012 Green Good Design Award. The award went to SmithGroupJJR, the architectural firm for the new building. Sponsored by the European Centre for Architecture Art Design and Urban Studies and The Chicago Athenaeum: Museum of Architecture and Design, the Green Good Design Award recognizes the most important examples of sustainable design throughout the world. It also strives to raise awareness about companies that are doing outstanding work for sustainable design. A rendering of the new ECE building at night. In September 2012, the European Centre and The Chicago Athenaeum will host a Conference on the Environment, where winning products and buildings from the 2012 Green Good Design competition will be exhibited. The exhibition will open at the University of Illinois at Urbana-Champaign, and will then travel throughout the United States through 2013. More information about the Green Good Design Award can be found at the European Centre for Architecture Art Design and Urban Studies.